Good morning my Eye Candy’s. Let’s get to it. Last night May 1,2017 was the 2017 #MetGala. I had a few favorite looks and a few not so favorites. Versace looks were my favorite one being worn by Serena Williams in the Emerald green custom made #Atelierversace dress. Kylie Jenner in the Rose gold custom made #Atelierversace dress as well. Both dresses looked amazing on the carpet. Did you see @priyankachopra in that Ralph Lauren coat dress with the long train? She slayed the carpet and thought outside of the box. My next favorite was LaLa Anthony in the beautiful black sheer lace dress. Now let’s get into my not so favorite looks of the night. First is Bella Hadid in the black bodysuit. 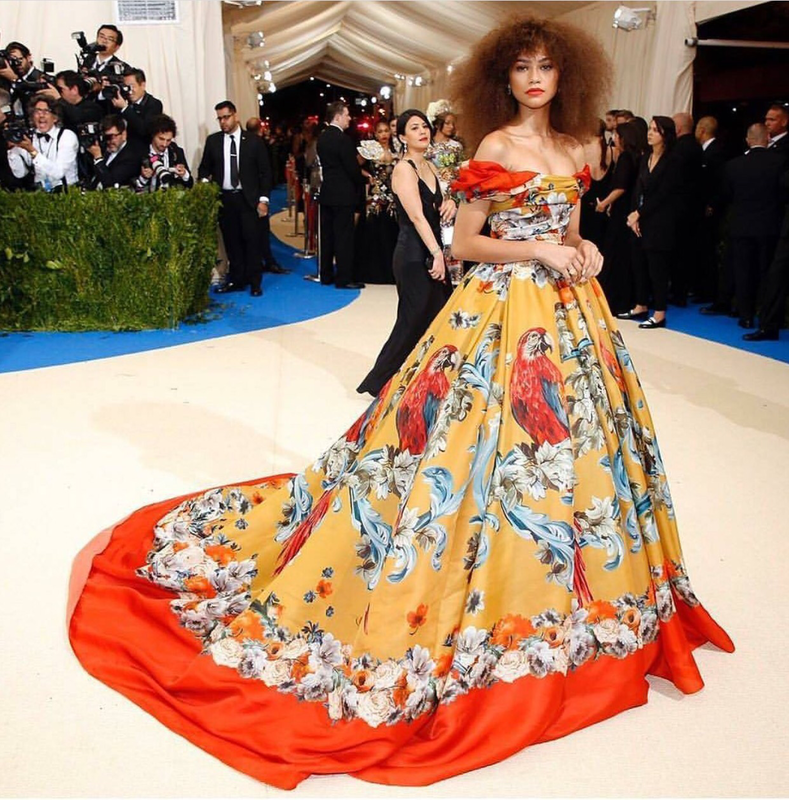 Second was Zendaya’s Bird and floral print dress. I didn’t no if I liked or hated it. 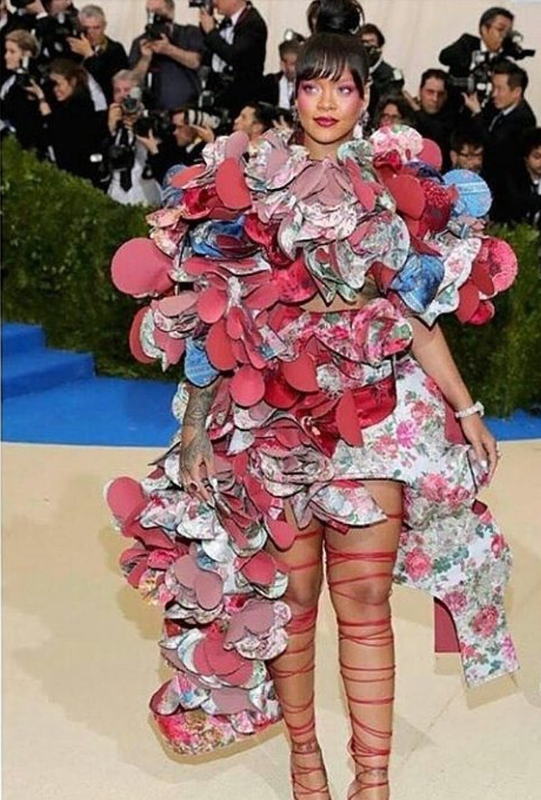 Lastly was Rihanna’s big floral dress. I know she was sticking to the theme and honoring the Japanese designer but it was to much for me. Let me know who your favorite looks were.